The function of the DNS is to resolve/translate names so that a system (your computers) can gain access to the resource (the web). The DNS probe finished bad config error occurs when your DNS fails to handle the request adequately. This error is also common when users experience the DNS_PROBE_FINISHED_NXDOMAIN error and Unidentified Network – No Internet Access Error. What Does DNS Probe Finished Bad Config Mean? DNS probe finished bad config error prevents users from gaining access to the internet. The DNS Probe failure causes issues when connecting to websites on browsers like Chrome, Firefox and Microsoft Edge. As you probably guessed by now, this is a DNS related error. Right off the bat, the most popular fix is to restart your router¹. Yes, it’s that simple. Turn off the power supply to your router and leave it off for about 10 seconds. Restart the router by turning the power on again. And, for good measure, restart the device that is experiencing the DNS problems as well. Once everything restarts, test your internet connection to verify that it is working, if not continue with the tutorial. When the Command Prompt window opens, type the following in it and Hit Enter. 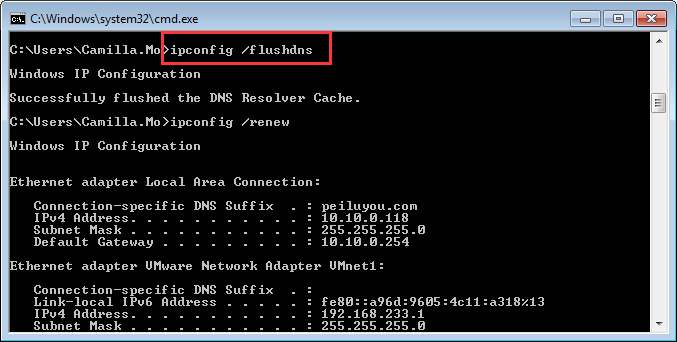 The ipconfig /flushdns command flushes the DNS cache. A flushed cache erases any modifications int he DNS settings and the system. 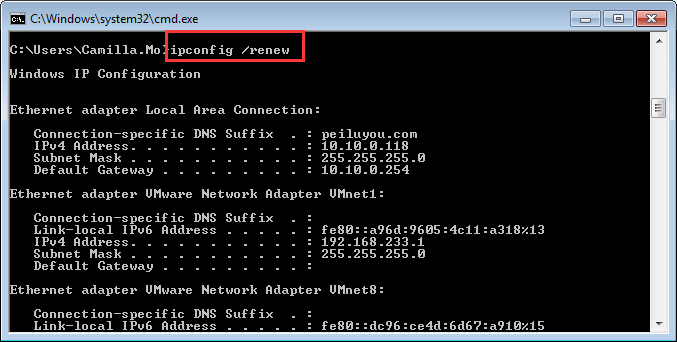 For a more in-depth, full proof method, use the information below to reset your IP and DNS settings. Open a Windows Command Prompt window as outlined above and run the following commands. Each line of code must be entered separately. After you enter one code, hit Enter on your keyboard and then do the same with each other code per line. To do this, hold the Windows key and press R again. 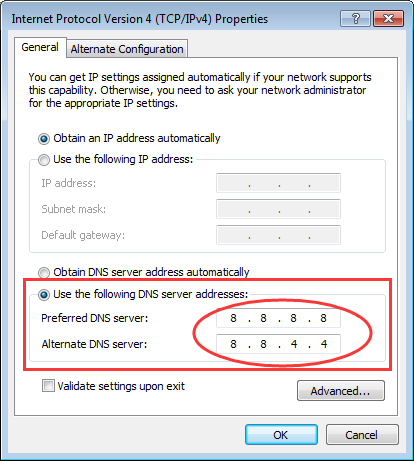 It takes you to the network connections panel where you need to update your DNS settings via the interface. Right-click it, then click Properties. 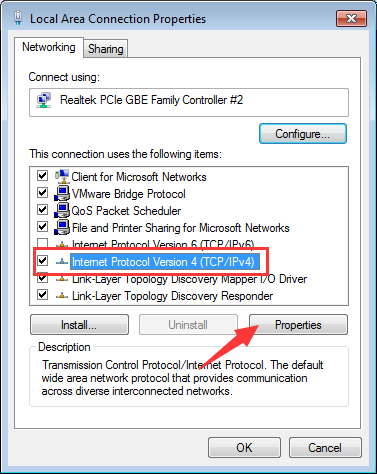 Via the properties panel, click “Internet Protocol Version 4 TCP/IPv4” until it turns blue and select Properties again. Click OK and close the rest of the windows. Watch the video on the next page to learn how to do the actions above. Type cmd in the run box and click OK button. 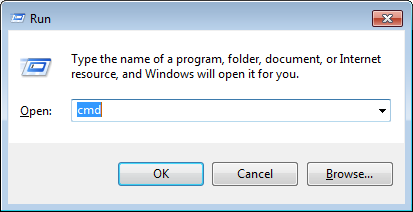 This is to open Command Prompt. 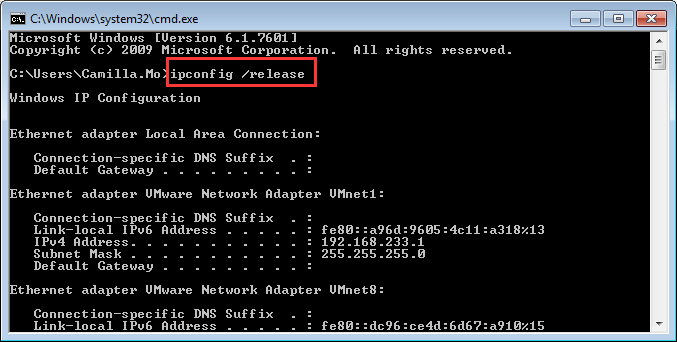 Then type ipconfig /flushdns and press Enter. 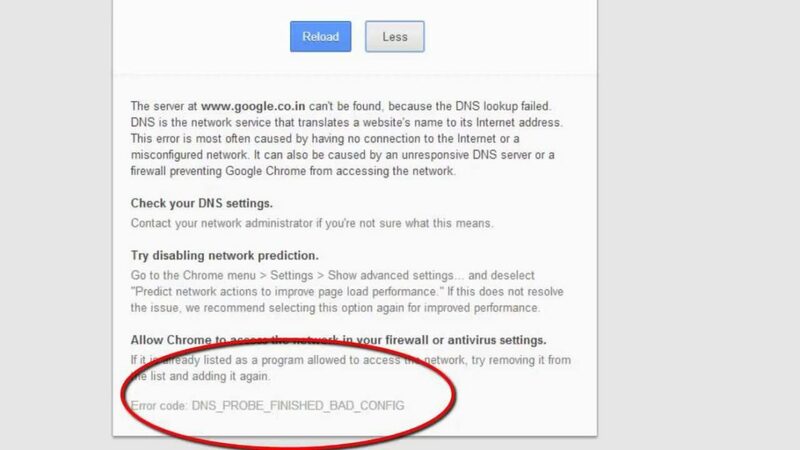 Video: How to Fix “DNS_PROBE_FINISHED_BAD_CONFIG” Issue on Chrome?